We all get annoyed sometimes with all the noise that our pneumatic tools produce during their operations. Sometimes, even though we want to work indoors, we simply can’t because it will disturb the entire household. However, with Husky Reactionless Ratchet 3/8 in. 80 ft. lbs. you would not have to worry about this problem again. It has a built-in impact chamber which provides a reactionless operation. This eliminates the risk of finger/hand trapping for your own safety. The internal silencing feature significantly reduces the noise that the tool would have produced. Because of this, you can now work even in confined areas. 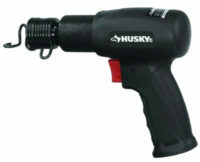 This Husky air ratchet can produce 80 ft.-lb. of torque. It works at a maximum of 600 rpm. With this speed and output, it can be used for removing and installing fasteners for simple auto/recreational vehicle/garden equipment service and repair. Unlike other units, this model works best for hard-to-reach high torque fasteners. To operate, just set the tool to its recommended operating pressure which is at 90 psi. Air consumption at this level is 4 CFM. 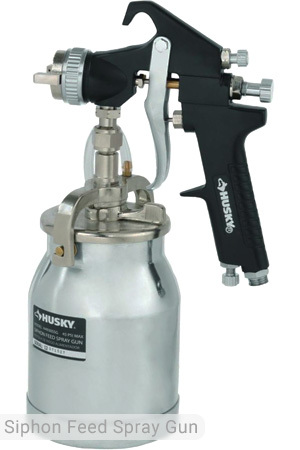 Husky reactionless ratchet also features a forward/reverse switch for quick and easy directional changes. Using this feature, you can already get to certain areas that you have not yet reached before. This is very convenient for the user as the tool can match the job appropriately. This tool is specifically designed for bolting projects. Light-duty applications can be performed in a short period of time. 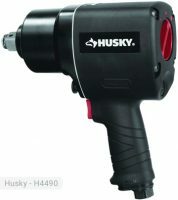 Bolts that hold your seat in the truck can be easily removed using this Husky air ratchet. It is very comfortable to use the product because it has a rubberized handle overmold. The housing is lightweight so it is very portable. It is made of composite material for durability. Moreover, the large throttle level also makes it very convenient to use even by newbies. Similar to other Husky products, it has a ball type socket retainer which provides a secure positive socket retention. The tool is very compact and it only weighs 2.81 lbs. With proper guidance, even your teenage kid can use this tool. 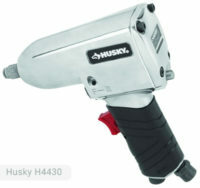 For first-time users, this is the recommended Husky air ratchet to use. During its first use, it will fully tighten and will provide you with a rhythm that will not scare you unlike other models that can hurt your hands. It is very practical to use especially in tight places. 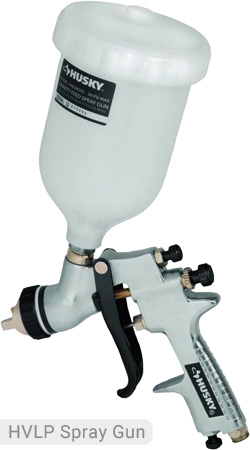 This is compatible even with air compressors which have small storage tank capacity. Just make sure that you monitor the pressure level during its operation. Husky 3/8 in. Reactionless Ratchet 80 ft. lbs. comes at a very affordable price. It only costs $99.98. Because of the reactionless feature of this Husky air ratchet, you are now relieved of the stress and worry brought about by the possible injuries when the nut or bolt gets too tight. Instead of getting your hand whipped or having your knuckles busted, you will only feel a certain level of vibration. The cheap price definitely guarantees your safety. 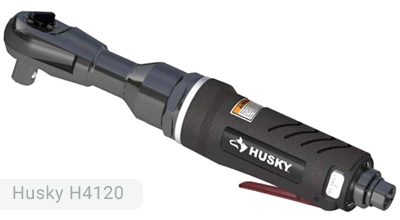 If you already own Husky H4120 model or just want to buy it, feel free to share your review or ask a question through the form below.